The latest advance in mobile technology in the form of ‘mobile wallets’ has barely touched down in Australia, but experts suggest they will dramatically transform how consumers purchase goods and services and make instant donations. 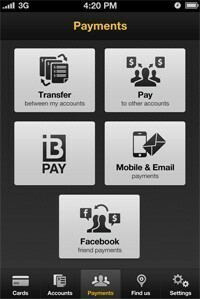 Above: Commbank's Kaching allows users to make payments via social networks such as Facebook. And technology experts agree – Not for Profits should be ready to alter and adapt their fundraising campaigns when the opportunity arrives. But there may be some fundraising drawbacks to the ‘tap’ or ‘wave’ to donate technology. The Mobile Wallet or NFC (near-field communication) technology allows a consumer, usually through a mobile phone app, to tap their mobile phone or wave it in front of a computer screen to instantly pay bills, make donations or pay for other goods and services. The Commonwealth Bank unveiled a mobile app called Commbank Kaching (that’s ‘ka-ching’ as in the sound of a cash register ringing) that is soon to be released, describing it as a world first in bringing international cutting edge technology to Australian’s palms and pockets. CBA says Commbank Kaching combines peer-to-peer payments via the phone’s contacts and email addresses which Not for Profits would benefit from, and in a world-first;using social networks for payments via a user’s Facebook friends, along with NFC contactless technology. Other major Australian banks are trialing their own mobile wallet versions. 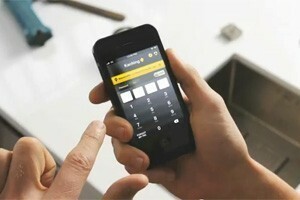 Above: A screenshot from the Commbank Kaching App. In the US, they already have Google Wallet in beta, and the Isis Wallet, the Visa Wallet, and the PayPal Wallet are in the works, and many more mobile wallet services are likely to launch in 2012, according to Heather Mansfield, the creator of Nonprofit Tech 2.0 Blog and author of Social Media for Social Good: A How-To Guide for Nonprofits. “I don’t know of any wallet service or online fundraising vendor currently building the functionality to donate via wallets, but it’s just a matter of time,” says Mansfield. Australian Fundraising consultant, Jill Ruchel, from Praxis Fundraising agrees and says she has no doubt that the technology it will take off; the only question is how quickly? For example, she says, if people had been asked if they wanted a Sony Walkman before they knew what it was, no-one would have said yes to that either. “Once the NFC technology on mobile phones is widely adopted, it will make it quick and easy for fundraisers seeking many small anonymous gifts. People will be able to just tap their phones together or wave their credit card at a computer screen to make their donation. However, Ruchel warns there may be some drawbacks. “If, as looks likely, the payment process does not include the donor's name and contact details, charities won't get the opportunity to develop long-term relationships with the donor and re-solicit them at a later date,” says Ruchel. On the upside, Ruchel says charities that go door-to-door seeking small gifts will do well out of it – they'll just have to bump smartphones with the donor. Another issue that will arise in Australia is whether a gift made this way is tax-deductible. Will there have to be a way of issuing tax receipts? Will this provide an incentive for donors to give charities their names and contact details? Or will the lack of tax receipts make it a disincentive for people to donate? Before all of this, the question is – will people adopt it? Retrovo, a US consumer electronics review and shopping site has reported that almost 80% of people in the US are not interested in or don't know of NFC (near-field communication) technology, which is what drives the TAP and wave approaches. CBA’s Executive General Manager Cards, David Lindberg, said the new Commbank Kaching app in Australia would reduce the reliance on traditional payment methods and transform and simplify day-to-day payments to anyone, including friends, family, mainstream retailers and small businesses. “Mobile and online social payment is the next step in transaction technology. Already, more than half our 10 million customers own a smartphone, and Australians are 65 per cent more likely than the British to bank on their phones. The Commbank Kaching app is authorised to be used on only one handset, and no personal banking information is stored on the phone. Receivers of payments are also protected, with all un-retrieved funds being credited to the payer after 14 days. The Kaching app is due for release by the end of the year. In the US, Heather Mansfield takes the possibilities for fundraisers even further. “The ability to donate by tapping to “Save to Wallet” on mobile websites makes a lot more sense than a multi-step, mobile-optimized “Donate Now” page and could even replace text-to-give technology. “Many mobile donors don’t want to take the time to tap in their contact and credit card information, or in the case of text-to-give, do not want their donation to show up on their mobile phone bill. “The “Save to Wallet” technology would eliminate both obstacles.